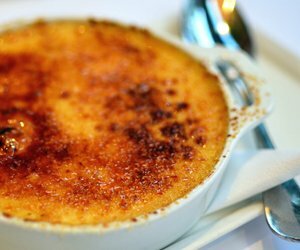 The origins of the crème brulée recipe are uncertain, although it was known in the mid-seventeenth century when it became popular, following the publication of some cookbooks in France. 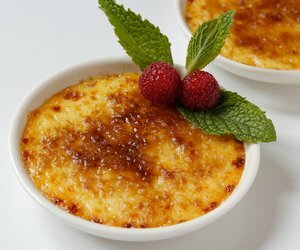 However, Spain has its own version and its own way of calling the universal crème brulée or creme brule: crema catalana. 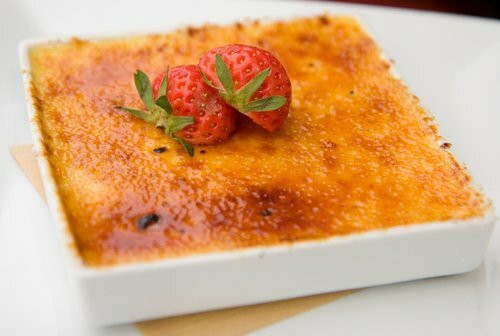 Crème brûleé is actually a cream of egg and milk flavored with vanilla and covered with a layer of burnt caramel; hence its name (from the French crème brulée: burnt cream and said “krem broolay”). Although for that reason, it might be more accurate to not call it crème brulée, but caramel brulée with vanilla cream. The "crème" (or cream) as such in this easy and exquisite dessert known throughout the world, is a kind of homemade custard that’s more consistent than normal. But what gives the crème brûleé a distinctive touch is undoubtedly the caramel brûleé top layer which you must break with your spoon to reach the cream, creating a delightful contrast of textures on the palate. Another distinctive feature of all crème brulée is the containers in which it is made. Obviously, you can use what you want here, but let's say the typical crème brulée ramekins are those plain bowls as shown in the photo, usually round and white, about 4 inches in diameter and no more than about an inch high. There are many crème brulée recipes, but this is a real easy and foolproof crème brulée recipe. You’ve got to try it! Put the milk with the cream and an open stick of vanilla (to release its flavor) in a saucepan and heat. When the liquid starts to boil, remove it, cover with a plate, and let the vanilla infuse for 30 minutes. While that’s going on, mix the egg yolks with white sugar in a bowl until blended. When the milk and cream have cooled, remove the vanilla stick, and fold the liquid slowly with the egg yolks and sugar while you stir with a whisk. Divide the crème among the ramekins, cover them with foil, and put them into a preheated oven at 100°C (preferably a fan oven to heat them all over) for 90 minutes. Remove the ramekins from the oven and let the crème brulée stand at room temperature until cool. Sprinkle a tablespoon of brown sugar over each ramekin, and burn with a blowtorch. When serving, decorate your crème brulée ramekins with red fruits (raspberries, strawberries, blueberries, cherries, etc.) that provide a contrast of color and flavor. We said we were going to be strict with the concepts of "crème brulée recipe easy", so we understand if your heart had begun to pound when you read that it was necessary to burn the crème brulée with a blowtorch. Take it easy! If you don’t have a torch or don’t know how to use one, just put the crème brulée ramekins back in the oven, this time at 150°C and under the grill, and leave them for about 10 minutes, or until the sugar glazes. Once that’s done, the crème brulée recipe is finished, and now you only need to leave the crème brûleé at room temperature until cool. If you’re eating the crème brulée straight away, you don’t need to chill it, because you can eat it both cold and at room temperature. However, if you want to keep your crème brulée for a few days, you must place it in the refrigerator tightly covered, so that the sugar glaze doesn’t deteriorate and the cream doesn’t dry out. 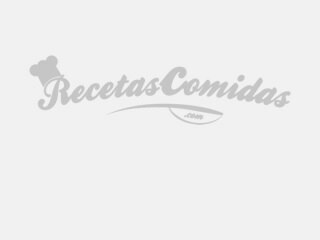 What to the world is known as crème brulée, in Spain you'll find it under the name of Crema catalana recipe, a typical dessert that is made in exactly the same way. These days, the flavor of this crème brulée and the caramel that covers it is so famous, that there are even beers flavored with crème brûleé, like the famous "Southern Tier Crème Brulée." But what you really want to do is make your own crème brulée, and for that you needed was this easy crème brulée recipe. Hope you’ve enjoyed it!